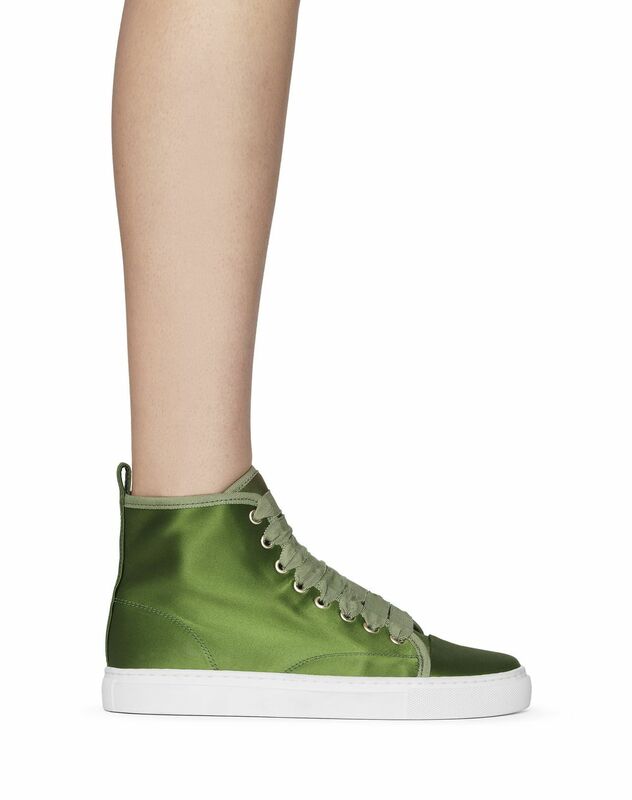 High-top sneaker in olive-colored satin, olive-colored satin cap toe, tone-on-tone topstitching, grosgrain ribbon laces, gold-finish metal eyelets, calfskin leather lining with "Lanvin" logo and contrasting topstitched white rubber sole. 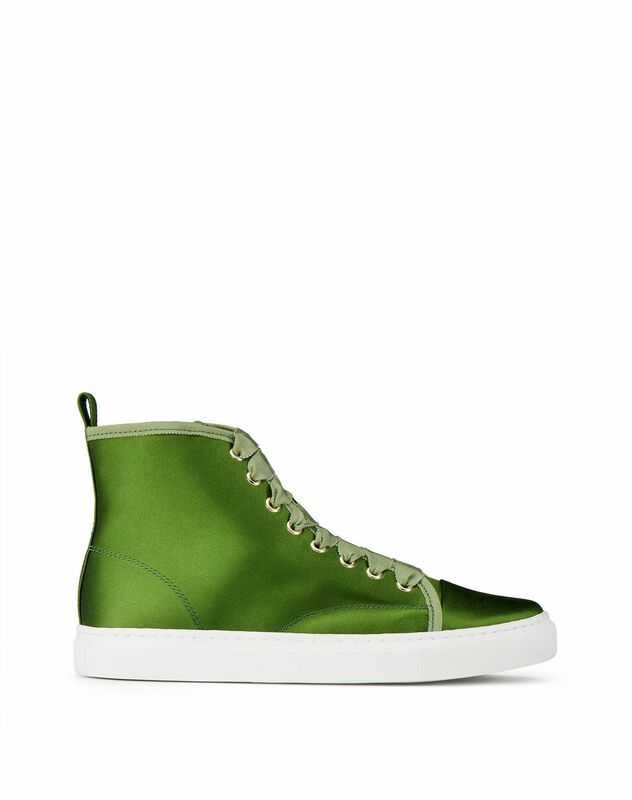 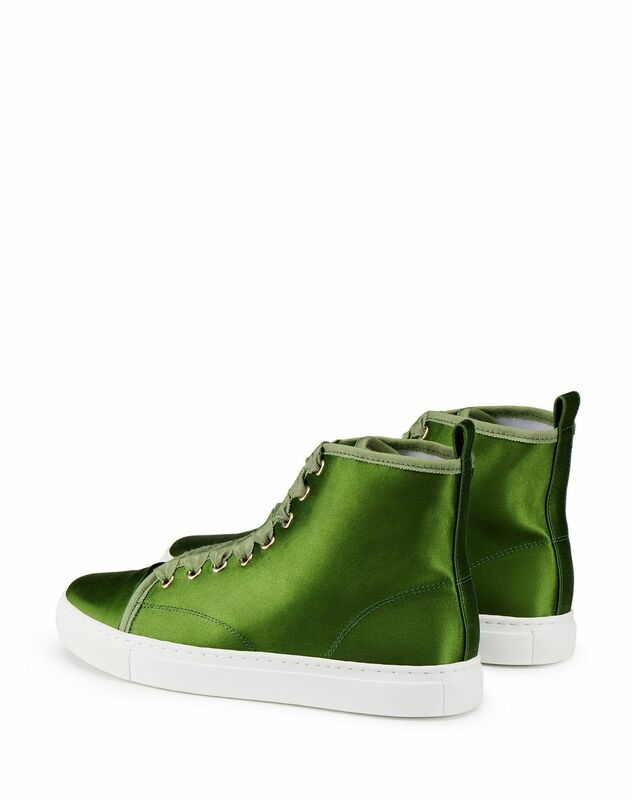 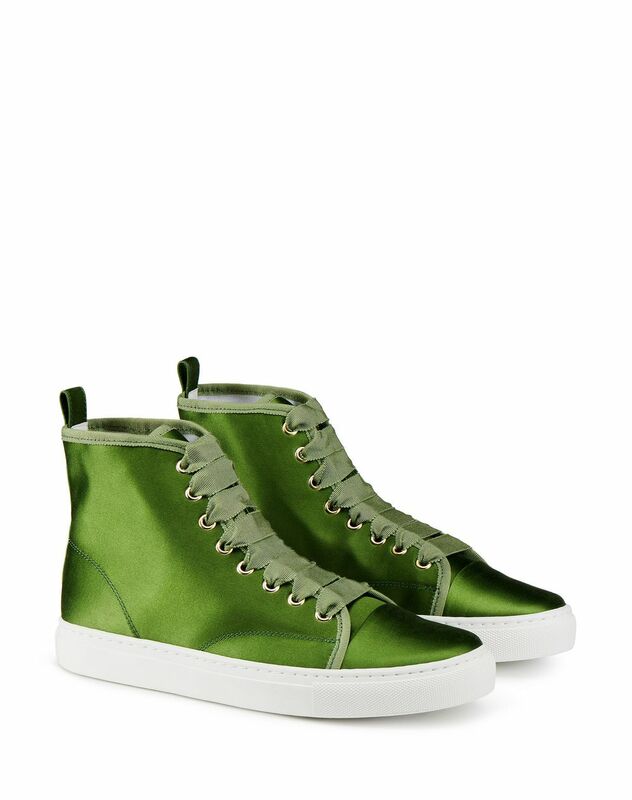 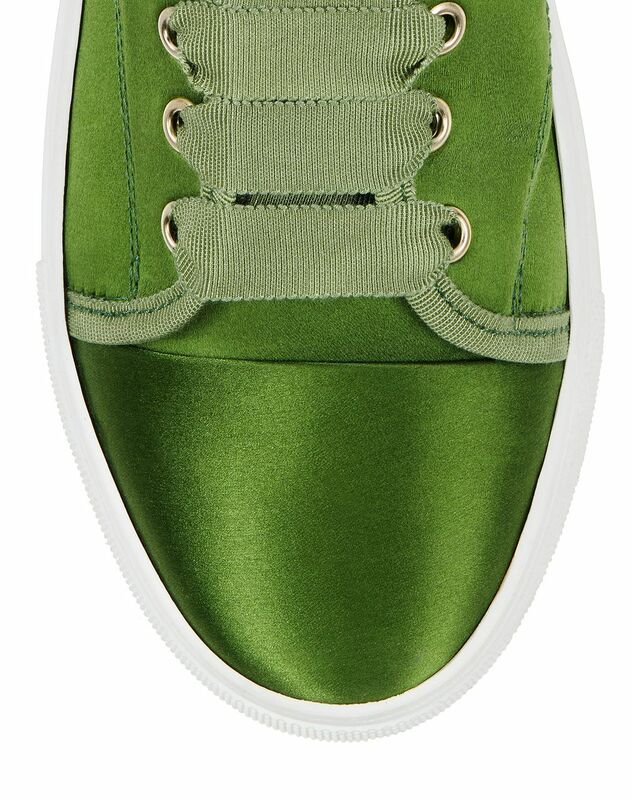 This olive-colored high-top sneaker stands out for its satin effect and grosgrain ribbon laces, a Lanvin signature. 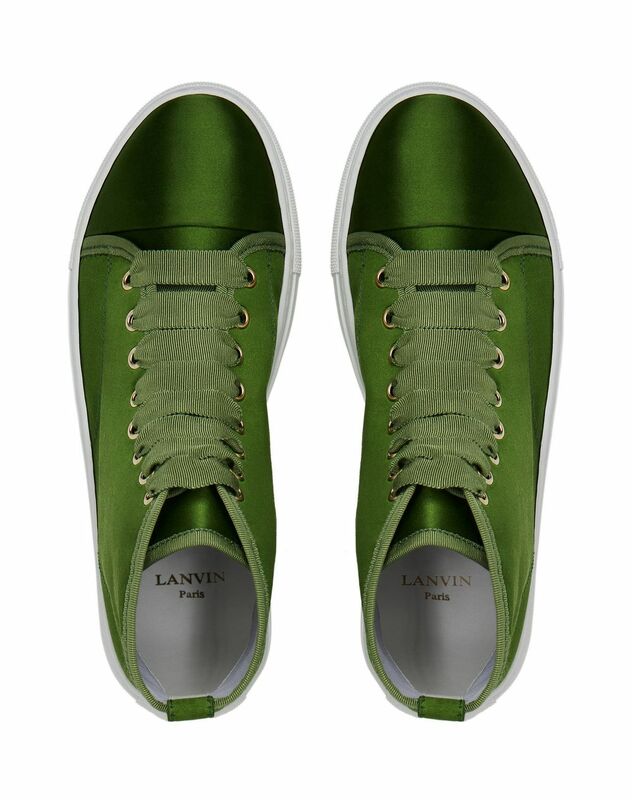 Comfortable and elegant, this radiant and distinctively feminine model provides a contemporary look.